She is 40 years old and lives precariously doing odd jobs. She dislikes gifts and feels proud and grateful. Río Tercero, Córdoba, Argentina: Nothing has been easy for Lilian Haidé González. She tells hows she manages to support her 16 children with very humble economic means. This day before Mothers' Day she reminds us of those original immigrant mothers who gave birth to large families to people an underpopulated country. For 21 years, being pregnant has been Lilian's normal state; her eldest son is 31 and the youngest daughter is two. “Five are from my first partner and 11 from the second,” she specifies, in her very modest house in the Monte Grande neighborhood in the outskirts of Rio Tercero, where she arrived 30 years ago. “But I don't regret having 16 children,” she makes clear at the start with a timid voice. The privilege of motherhood took her by surprise too early, at 17, an age when most girls are at school and just beginning to enjoy dances and discos. “I didn't want it, I was so young,” she begins her story, seated in her wooden chair next to four of her smallest children who are holding some puppies. When she was young she imagined that she would have “two or three kids”, but life awaited her differently: “They kept coming”, she explains simply. She admits, almost self-critically, that she didn’t relate easily to people, and perhaps this social distancing prevented her from having more access to advice about prophylaxis or family planning. “We lived in the country, then we went to Rio Tercero and I never had much to do with other people,” she explains. 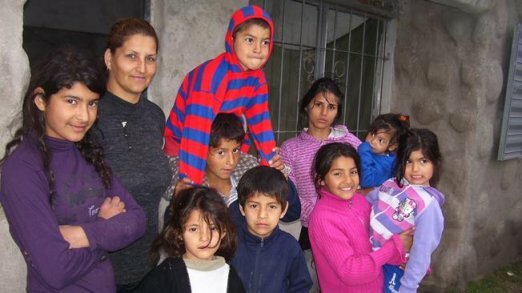 Born in Comodoro Rivadavia, she lives in her own humble but decent house, which doesn't seem even close to being able to hold the whole family. “We made the first small room out of mud,” she says. “The neighbors watched us and several helped out with materials. Gradually we built more rooms, now we have four, plus the bathroom and the kitchen.” For the last three years she has been on her own, without a partner. “Doors weren't always open to me, but I never gave up,” she remembers, wringing her hands. She cannot conceive of giving up her children because of economic difficulties. She says: “I would never leave them, as I see some others do with children. They didn't ask to come into the world, they're here, and must be taken care of”. Lilian speaks with the same simplicity as she lives. She mentions that she cannot read and that her mission in life is that her children “get ahead, go to school, and never give up.” In this way she hopes they will have lives without so much economic anxiety and be better off than she is.